Since I think it’s becoming fairly obvious that I’m an avid business book reader—particularly autobiographies of people who had to struggle to become successful, I think this blog posting should make a bit of sense. In almost all of the books I read, creative entrepreneurs had to discover new skill sets along the way as new challenges approached them. It’s funny because I have always wanted to get my MBA, and now I finally feel like I am. I’ve mastered the design aspect, and have just now mastered the production, sourcing, materials, shipping, import, duty, and warehousing issues. But my next steps I think are going to be even more challenging. These are the skills I actually have to look deep down for, and really hone them, really pay attention, and really fight to survive with what I have. The next steps are the financials and the sales. I keep wanting to pass along both aspects of the business to someone more qualified, someone who I know really gets it and can help us grow quickly in an healthy manner. And I will find that person. But right now, I have to climb up that hill and do it myself. To bring up Branson again, he said sometimes you just have to shout for yourself about yourself. So here goes nothing…. can you hear me shouting now? In 1991 Richard Branson, along with Per Lindstrand, made the trip across the Pacific Ocean from Japan to northern Canada in a hot air balloon. They had made several attempts prior to this to circumnavigate the world. This was something that has never been done before. Something that was massively risky and not entirely safe. Richard Branson also happens to be a completely self-made billionaire who set the world on fire with his innovative adaptability and creative entrepreneurship. He refuses to see defeat as defeat. I bring Branson up, not only because I’ve had a slight obsession with him since the age of ten, but more so because in the age of the business that we’re at, his refusal to fail is incredibly inspiring. And since I’m on only my second “round the world” trip ever (and no, sadly not in a hot air balloon), I thought of him once again. He was found to be dyslexic at a young age, proving not to be book smart, but incredibly street smart. He has an intuition that has brought his businesses to incredible heights of success, but more so than not, it was his perseverance and determination that has set him apart. 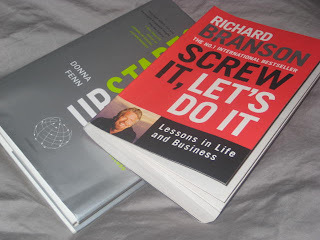 He said in his book, endearingly titled “Screw it, Let’s do it” (so very Branson-esque), “People have to decide on priorities if they want to get anywhere. The best lesson I learned was to just do it. Whatever it is, however hard and daunting it might seem, as that ancient Greek, Plato, said, “The beginning is the most important part of any work,’ while the Chinese say, ‘A journey of a thousand miles begins with a single step.” (Branson, xiii). And yes, Richard Branson with his crazy reputation took his first steps and never looked back. The most important lesson of success today—don’t look down when you’re in that hot air balloon. There’s only one moment, one misstep, one wind gust that can set you in the wrong direction. But if you don’t think it will happen, chances are it won’t. Just keep looking forward. Generation Y has a tendency to just do. We don’t really think about the “plan” or how it’s actually going to be executed, or who's going to do what. Generation Y entrepreneurs have a unique sense of business style and -- as is often noted in articles about Gen Y’ers -- we are the least likely to have a traditional business plan written out. Most of us claim it’s a living work in progress in our heads. As part of the beginning bit of Gen Y, I can sadly say the same. Though as a personal disclaimer, I tend to believe that the real game changers are the cusp generation. It’s the end of X and the beginning of Y. Those are the real movers and shakers. But this blog entry is not supposed to be about Gen X versus Gen Y versus the Boomers…It’s really about my shipping methods. Bear with me here…. Stupidly, I really thought I would just ship all my products via FedEx. In the beginning my initial order was maybe 300 bags, and I didn’t really think it would be a massive ordeal to have it shipped via FedEx or UPS, or even DHL. (Sorry FedEx you know I have a love affair with you, but didn’t want to leave out your partners in crime!) But then my orders grew, and I still didn’t stop to think that it would be a big problem to ship via air. I mean, really how expensive could it be? Well. Very. Very. VERY. VERY. EXPENSIVE! Long story short, I am lucky to have an angel amongst us. She is someone I am incredibly grateful to have met and to know, both on a personal and professional level. In any case, she’s literally saved my company from complete bankruptcy. Me and my Gen Y philosophy, only half sort of looked into the airfreight versus shipping freight financial issues. I just always assumed we were too small to get on a boat and not too big to not be able to afford air. But I was wrong. 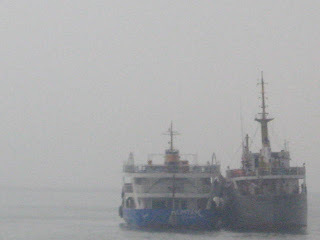 To cut it short—my bags are going on a boat. And since I have a minor obsession with barges (okay okay, enough from the peanut gallery…I have a MASSIVE obsession with barges. And please don’t ask because I really can’t explain it.) I’m really excited. Even if I may never actually get to be on a barge, at least my bags will. And they are almost ready to travel the Pacific Ocean! Very exciting…. even if my Gen Y antics had to be saved by my angel of a friend. Since we’re almost done with production for Fall, I’ve just now started to think about Spring 2012. I know, I’m really off schedule, and designing way too close in to the season. Not that that’s a bad thing, it’s actually a really good thing if you can keep it up as you get big and your orders get bigger. In any case, my incredible Istanbul trip has led me to think about color as a first priority. Instead of having to make an immediate choice, I started to sift through all the pantone books just pulling anything I loved. Unsurprisingly, I ended up with something like 50 colors! Surprisingly though, they are all pretty close in the same palette. 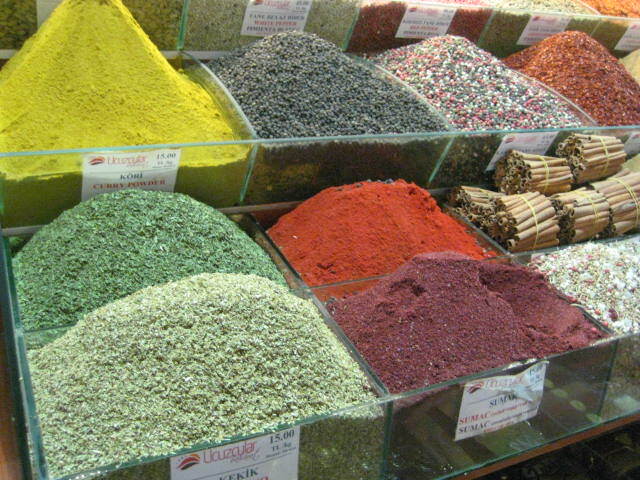 And yes, very Istanbul-inspired….warm mustards, pale roses, azure blues, and cloudy neutrals…. I haven’t yet pinned it down to my top 25, and from there I’ll have to cut it down even further…. I guess I’m not ready to commit yet, but at least we’re moving in the right direction! Can’t wait for Spring 2012! Wow, in China, AGAIN. If it weren’t for my love of what I do, I think I could get sick of China really quickly. And in some respects I am. I’m tired of living in a hotel room where everybody seems to know who I am. And I’m tired of Chinese food; I actually really can’t stand it. And I’m tired of long drives to the hot factory. But I’m not so tired of developing and creating and dreaming and drawing. I love that about my life. I dream and I draw and I color. It’s like I’m five years old again…. My second round-the-world trip has taken me first to the beautiful city of Istanbul and its gorgeous architecture and inspiring colors! Since we’re finally into production of our first line of handbags, there isn’t much maintenance or too many emails to respond to, so I thought I’d take a short inspiration trip to somewhere I’ve never been before. A few years ago, inspiration took me to Athens, though this was just before economics took a downturn in Greece. I could tell then there was slight unrest, but the beauty of the city didn’t seem phased. 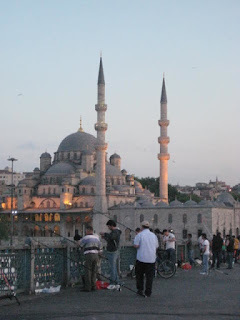 I must say, Istanbul far exceeded my expectations! 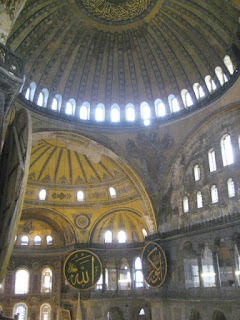 Hagia Sophia, with its awe-inspiring construction, architecture, and space, made me feel so small yet so spiritual. 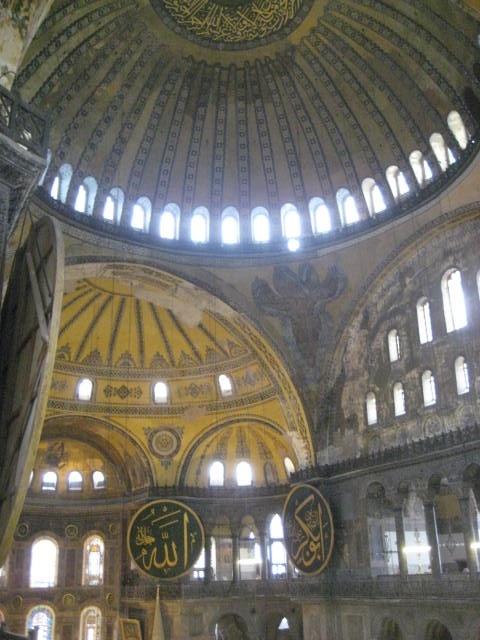 Thinking of all the people it took to build this great achievement and all the troubles, wars, weather, catastrophes, and political changes that Hagia Sophia (Ayasofya) had been through, it was if it wasn’t a day old! Thank god for people who are experts at restoring and preserving the beauties of the past. But not just Hagia Sophia, the Blue Mosque, Topkapi Palace, Dolmabahce Palace, the markets, the hamans and Cagaloglu Baths, all of it was just glorious! 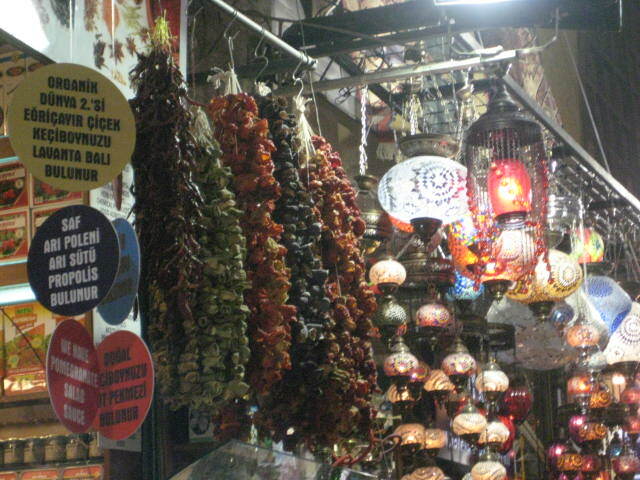 I must say, probably my most favorite place was the Spice Bazaar. I think I only know one other person that spends their Friday nights doing cost analysis and line sheets on Friday nights. But she gets paid for it. I’ve drudged on and on about this before, and I bring it up again, not only because we have new product to sell, but also because I’m constantly finding new ways of being more efficient. The line sheets took me forever to figure out the first time, but now I think I’m beginning to see the story much quicker. Things just get easier as you go along. I keep correlating it to riding a bicycle. The first time you do it, you don’t think you’re going to do it without breaking both legs and maybe an arm or two. But the second time, you only worry about breaking one leg and two arms, and then the third time, you’re pretty much down to one arm only, and so on. Everything’s like riding a bike, or driving a car, or climbing a mountain, or building a brand, or doing line sheets and cost analysis breakdown reports….it’ll all just get easier. Check out the world of Ella g.